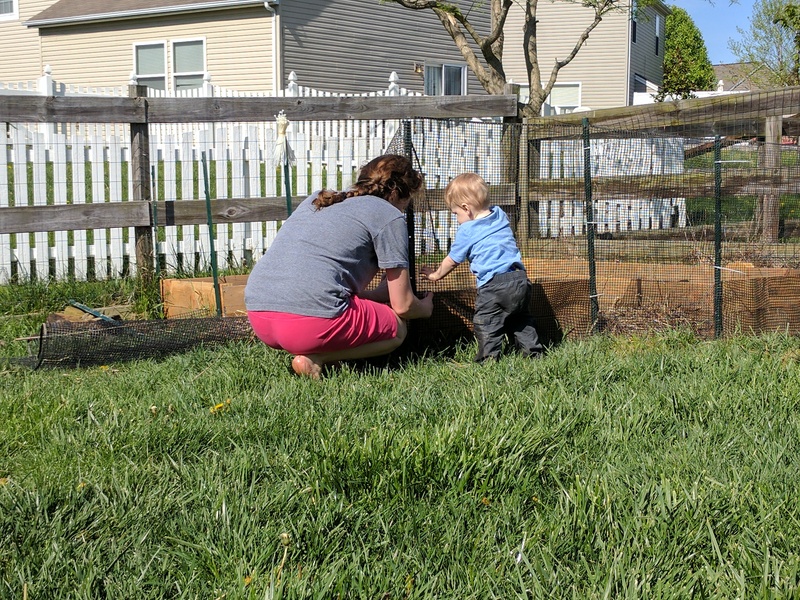 Welcome back to our gardening adventures! 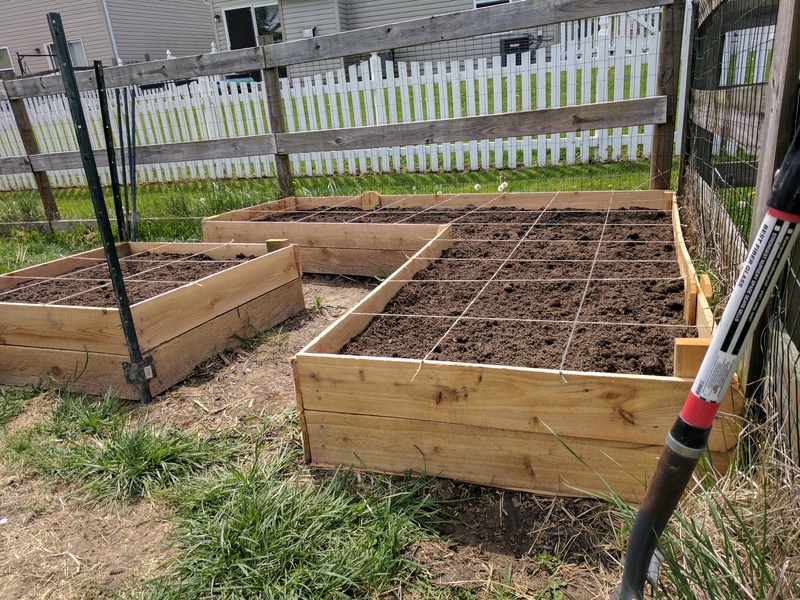 We’ve already shared with you how we started our seedlings, how we built our raised beds, and how God worked to get us the dirt to fill our raised beds. While writing that last post was awesome, and I loved being able to exalt our God and share with you how awesome He is, that wasn’t how I had originally seen that post going. I thought I was just going to show a bunch of pictures of us getting dirt and filling the beds, then doing a bunch of other prep work. Obviously God had other ideas, and I’m so glad that He did because it grew our faith. Now, however, I would like to share the rest of the garden preparations from last week with you. 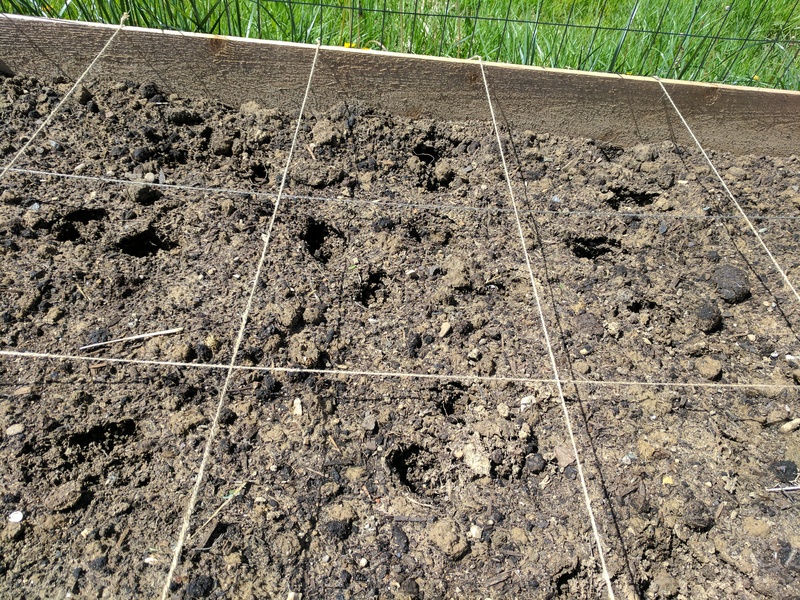 Once we finished filling the beds with dirt and decided that it was enough to get us by for the season, we set about graphing the bed for our square foot gardening. Remember when I said that I should have thought about the whole 2 rectangle beds idea instead of an L-shaped bed… yeah… that would have been WAY easier to work with! I don’t think harvesting will be too difficult, but graphing and planting are a challenge. You live and you learn, right! With a little bit of acrobatics, we managed to get all the graphing done. Now the beds are ready for planting. YEA! I can hardly wait. I love this time of year! Yes, those are dog prints. Bad dog! So I had my little helper assist me in putting up a fence. We were able to reuse the materials from last year, along with some we had in the garage, which helped keep costs down. Last week we were also able to get some other projects done in the front beds. I’ve been searching for a solution to our slugs-eating-all-the-strawberries-before-we-get-to-them problem. Most of the things I’ve seen don’t seem very doable (or really even effective) for us. 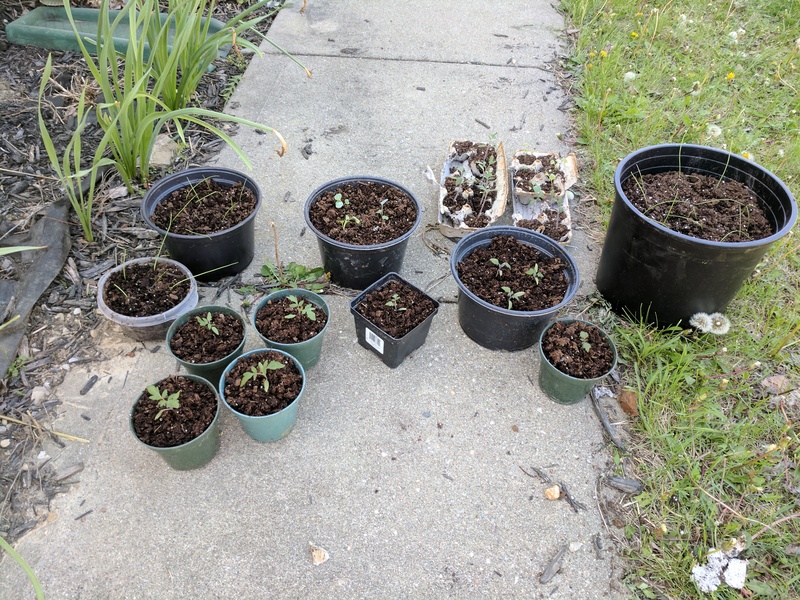 I finally came across a blog from a local permaculturist who suggested companion planting onions with them and then leaving the clippings around the strawberry plants. Apparently slugs don’t like the smell. 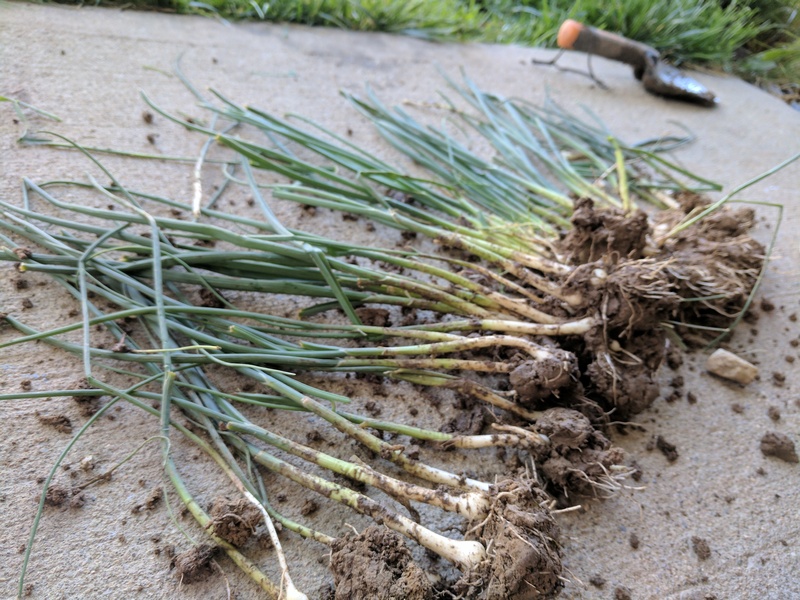 So we transplanted some wild onions from the backyard into the strawberry bed out front. I took the opportunity to re-home some earthworms to my garden while I was at it. 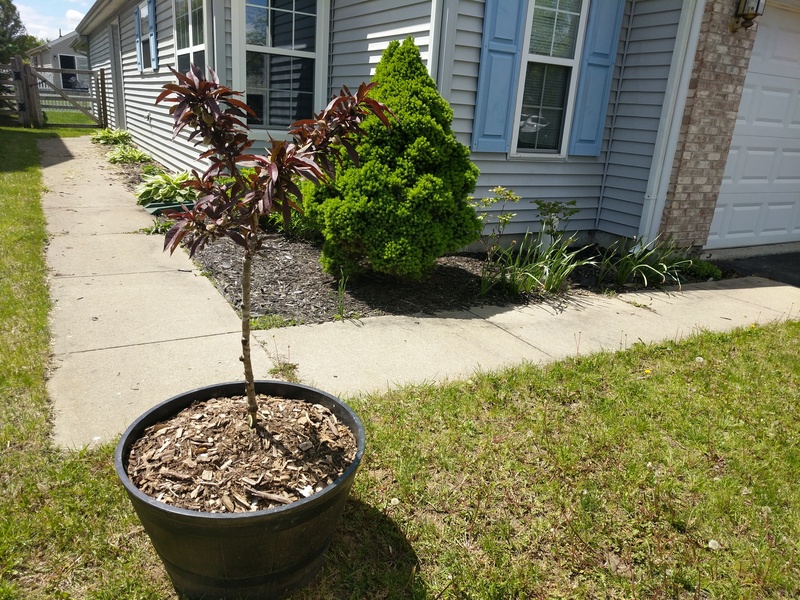 We also transplanted my beautiful dwarf peach tree to it’s new home. Planted potatoes in the garden. As well as some celery, carrot, lettuce, and kale seeds. And transplanted my little seed starts into larger containers. And in the middle of it all we celebrated Easter! BEST. HAM. EVER! click for the recipe. So it was a busy week, but we accomplished a lot. I’m really looking forward to the harvest and tasting the fruit of our labor! 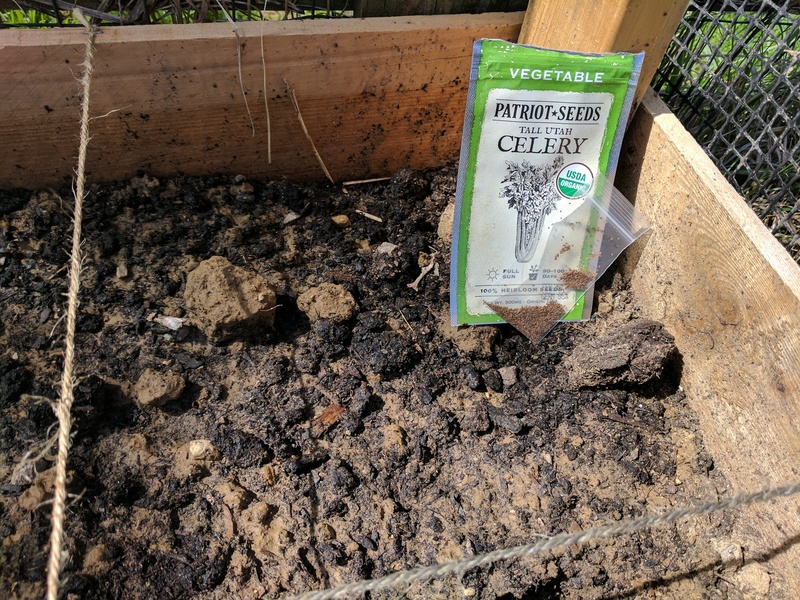 Previous Post Preparing for Harvest (pt.3)–DIRT! Next Post To Vaccinate or Not to Vaccinate… That Is NOT the Question!